Do you roll or fold? That potentially personal question came up in today’s discussion about on-line matters with Jim Mora on Critical Mass. The rolling and folding question was brought up by Aptenodyte on Around the World – the record of an Australian family of four’s year of travel. Posts so far have been on preparation and the rolling or folding applies to how you pack your clothes. The travelling starts on Saturday. We also discussed Simon Heffer’s style notes. As one afflicted with wobbly spelling and a propensity for typos I found myself admiring his erudition and being relieved I wasn’t one of the writers who provide the many examples of what not to do. Heffer is an editor and style guru at the Daily Telegraph and has written Strictly English about which you can read on Beattie’s Book Blog. Fisherman by Brian Turner is this Tuesday’s poem. I love the utter quiet despair in this poem. I find that if you really listen and pay attention to the world then it’s often the small, the quiet and the unassuming people and things that have the most impact. . .
Helen Lowe’s choice Blue by Catherine Fitchett. Catherine has just joined the Tuesday poets and her choice this week is Jim Brock’s Aubade: Good Daylight. my first rendition of Little Drummer Boy. Dear Lawd above – I said to myself – Xmas is hard upon us. For our sins. It is time to head down the back paddock . . .
And at Stoatspring Harvey Malloy features Poem for a Geography Teacher by Anna Livesay. Rural Women NZ has opened entries for its third annual Enterprising Rural Women award. “The Award celebrates women who take on the extra challenge of running a business in a rural area and it’s a great opportunity to boost your business profile,” says RWNZ National President Liz Evans. Past entrants have received extensive media coverage and seen the positive effects on their businesses. Last year’s Supreme winner, Tineke Verkade, of Homeopathic Farm Support Limited, says winning the 2010 RWNZ Enterprising Rural Women Award has led to three appearances on television, as well as radio shows and numerous newspaper articles throughout the country. She says it has made her more enthusiastic and given her the confidence to come up with strategies to cope with the recession, including new products that are currently being tested by Massey, and writing a book on homeopathy for horses. Last year’s South Island winner, Tracey Robinson, who runs children’s merino sock company Cosy Toes Ltd from the tiny town of Rotherham in North Canterbury, says her win has had a very positive spin off. The RWNZ Enterprising Rural Women Award 2011 is being sponsored by Telecom and Access Homehealth Ltd, who will both be involved in the judging. Further information and entry forms can be found here or by calling (04) 473 5524. 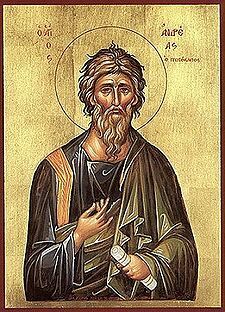 Andrei noted last year that Andrew is also patron saint of Russia & the Ukraine and that today is his (Andrei’s) name day. The World Trade Organisation’s Appellate Body, has upheld New Zealand’s case in the dispute over exporting apples to Australia. This is great news for orchardists which has been welcomed by Trade Minister Tim Groser. “The appeal report upholds the thorough analysis undertaken by the WTO dispute Panel around risk assessment and the science at issue. These findings – reached by independent external arbiters – settle any debate. This is good news for New Zealand apple exporters,” said Mr Groser. New Zealand has been seeking access into Australia for its apples since 1986 but has been barred from the market as a result of restrictive quarantine measures. Australia has maintained that the alleged risk of introducing fire blight, European canker and apple leaf-curling midge justified the measures. After exhaustive efforts to resolve the matter with Australia, New Zealand took the issue to the WTO. The WTO Panel report on the case was released in August. Australia appealed. The Panel had found that all 16 of Australia’s quarantine measures, along with their Import Risk Analysis, were inconsistent with Australia’s legal obligations under the WTO Sanitary and Phytosanitary Agreement. The Appellate Body has now upheld the Panel’s core findings. On a subsidiary issue – whether there were less trade restrictive measures available to Australia – the Appellate Body overturned the Panel’s decision on technical grounds. But this does not weaken the central findings around risk assessment and the science. This ruling opens the door to apple exports to Australia worth millions of dollars. That’s not only good for our producers it will offer more choice, and potentially lower prices through more competition, to Australian consumers. 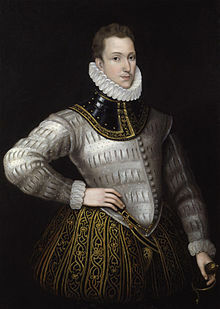 1554 Philip Sidney, English courtier, soldier, and writer, was born (d. 1586). 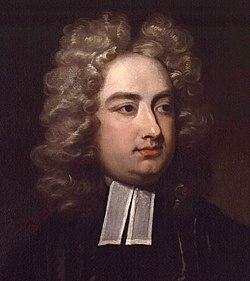 1667 Jonathan Swift, Irish writer and satirist, was born (d. 1745). 1700 – Battle of Narva — A Swedish army of 8,500 men under Charles XII defeated a much larger Russian army at Narva. 1718 – Swedish king Charles XII died during a siege of the fortress Fredriksten in Norway. 1782 – American Revolutionary War: Treaty of Paris — Representatives from the United States and Great Britain signed preliminary peace articles (later formalised as the 1783 Treaty of Paris). 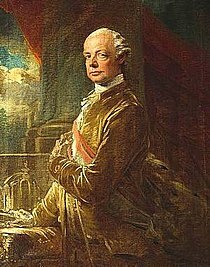 1786 – Peter Leopold Joseph of Habsburg-Lorraine, Grand Duke of Tuscany, promulgated a penal reform making his country the first state to abolish the death penalty. Consequently, November 30 is commemorated by 300 cities around the world as Cities for Life Day. 1803 – In New Orleans, Louisiana, Spanish representatives officially transferred the Louisiana Territory to a French representative. 1804 – The Democratic-Republican-controlled United States Senate began an impeachment trial against Federalist-partisan Supreme Court Justice Samuel Chase. 1810 Oliver Winchester, American gunsmith, was born (d. 1880). 1824 – First ground was broken at Allenburg for the building of the original Welland Canal. 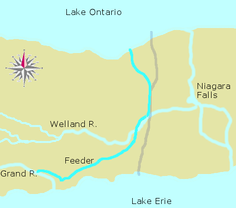 1829 – First Welland Canal opened for a trial run. 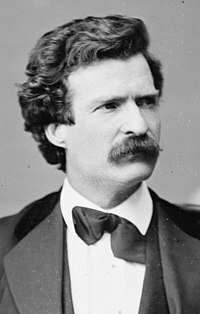 1835 Mark Twain, American writer, was born (d. 1910). 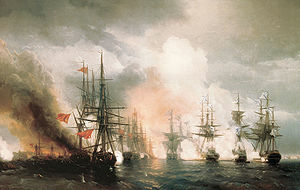 1853 – Crimean War: Battle of Sinop — The Imperial Russian Navy under Pavel Nakhimov destroyed the Ottoman fleet under Osman Pasha at Sinop, a sea port in northern Turkey. 1864 – American Civil War: Battle of Franklin — The Army of Tennessee led by General John Bell Hood mounted a dramatically unsuccessful frontal assault on Union positions commanded by John McAllister Schofield around Franklin, Tennessee, Hood lost six generals and almost a third of his troops. 1868 – The inauguration of a statue of King Charles XII of Sweden. 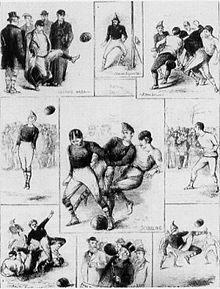 1872 – The first-ever international football match took place at Hamilton Crescent, Glasgow, between Scotland and England. 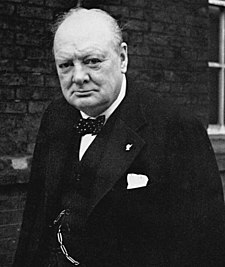 1874 Sir Winston Churchill, Prime Minister of the United Kingdom, Nobel laureate,was born (d. 1965). 1886 – The Folies Bergère staged its first revue. 1902 – American Old West: Second-in-command of Butch Cassidy’s Wild Bunch gang, Kid Curry Logan, was sentenced to 20 years imprisonment with hard labour. 1908 – A mine explosion in the mining town of Marianna, Pennsylvania killed 154. 1934 – The steam locomotive Flying Scotsman became the first to officially exceed 100mph. 1936 – The Crystal Palace was destroyed by fire. 1939 – Winter War: Soviet forces crossed the Finnish border in several places and bombed Helsinki and several other Finnish cities, starting the war. 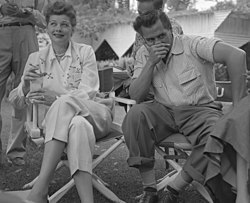 1940 – Lucille Ball married Desi Arnaz in Greenwich, Connecticut. 1942 – Guadalcanal Campaign: Battle of Tassafaronga — A smaller squadron of Japanese destroyers led by Raizō Tanaka defeated a US cruiser force under Carleton H. Wright. 1949 the first National government was elected in New Zealand, led by Sidney Holland. 1953 – Edward Mutesa II, the kabaka (king) of Buganda was deposed and exiled to London by Sir Andrew Cohen, Governor of Uganda. 1953 June Pointer, American singer (Pointer Sisters), was born (d. 2006). 1954 – In Sylacauga, the Hodges Meteorite crashed through a roof and hit a woman taking an afternoon nap in the only documented case of a human being hit by a rock from space. 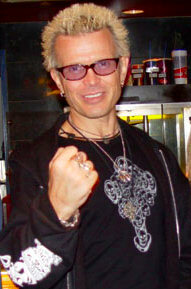 1955 Billy Idol (born William Michael Albert Broad), British musician, was born. 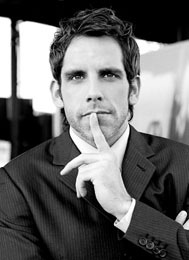 1965 Ben Stiller, American actor, was born. 1966 – Barbados gained independence. 1967 – The People’s Republic of South Yemen gained independence. 1967 – The Pakistan Peoples Party was founded by Zulfiqar Ali Bhutto. 1971 – Iran seized the Greater and Lesser Tunbs from the United Arab Emirates. 1981 – Cold War: Representatives from the United States and the Soviet Union began to negotiate intermediate-range nuclear weapon reductions in Europe. 1989 – Deutsche Bank board member Alfred Herrhausen was killed by a Red Army Faction terrorist bomb. 1993 – U.S. President Bill Clinton signed the Brady Handgun Violence Prevention Act (the Brady Bill) into law. 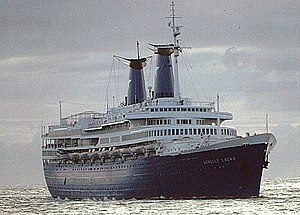 1994 – MS Achille Lauro fire off Somalia coast. 1995 – Official end of Operation Desert Storm. 1998 – Exxon and Mobil signed a $73.7 billion agreement to merge, creating Exxon-Mobil, the world’s largest company. 1999 – In Seattle, protestests against the WTO meeting by anti-globalization protesters caught police unprepared and forced the cancellation of opening ceremonies. 1999 – British Aerospace and Marconi Electronic Systems merged to form BAE Systems, Europe’s largest defense contractor and the fourth largest aerospace firm in the world. 2004 – Longtime Jeopardy! 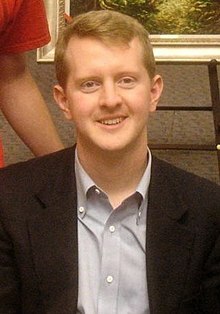 champion Ken Jennings of Salt Lake City, Utah finally lost, leaving him with US$2,520,700, television’s biggest game show winnings. 2004 – Lion Air Flight 538 crash landed in Surakarta, Central Java, killing 26. 2005 – John Sentamu became the first black archbishop in the Church of England with his enthronement as the 97th Archbishop of York. You are currently browsing the Homepaddock blog archives for November, 2010. GREAT HEADS UP TA VERY MUCH.